These things may make the magician, but science makes the magic. 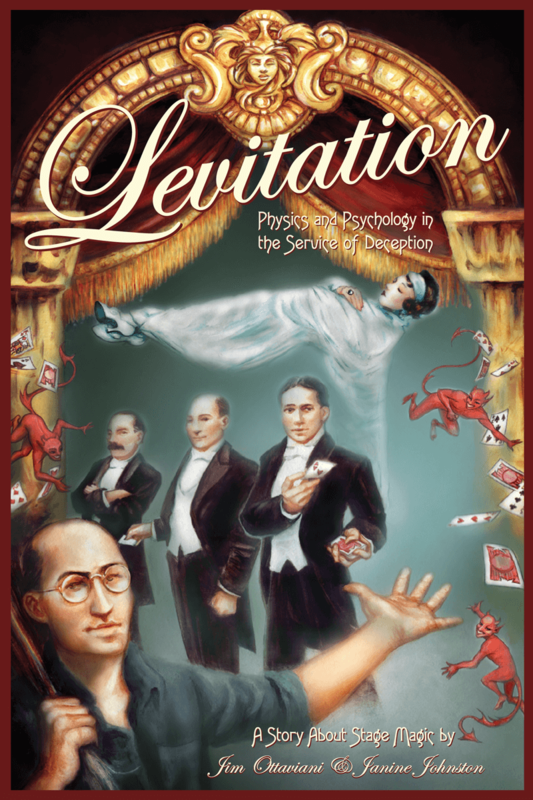 Levitation tells the amazing true story of the most dazzling illusion ever performed on stage, and features a cast of characters that seems too good to be true — The Scientist: John Neville Maskelyne, the oh-so-proper British magician and the trick’s inventor. The American: Harry Kellar couldn’t buy the illusion, so he found another way to get it. The Inventor: Guy Jarrett, the rough-and-tumble engineer who perfected the illusion. The Heir: Howard Thurston, the handsome and charismatic performer who inherited the act from Kellar and then, according to Kellar, ruined it. Or did he? Join us on stage and behind it and learn not only how to defy gravity, but why people believed you could. Levitation and its companion release Wire Mothers: Harry Harlow and the Science of Love are the first in a series of books on the science of the unscientific from G.T. Labs. About the storytellers: Janine Johnston began her comics career over 10 years ago as an artist for Star Wars: Tales of the Jedi . She went on to adapt and paint for the Elfquest series “Blood of Ten Chiefs” and currently works as a painter, muralist, and on numerous projects in both the comics and gaming industry.